Reminiscent of Old World artistic tile installations, our Tuscany Walnut Travertine Tableau features three gorgeous natural travertine tiles installed in a unique and captivating way. 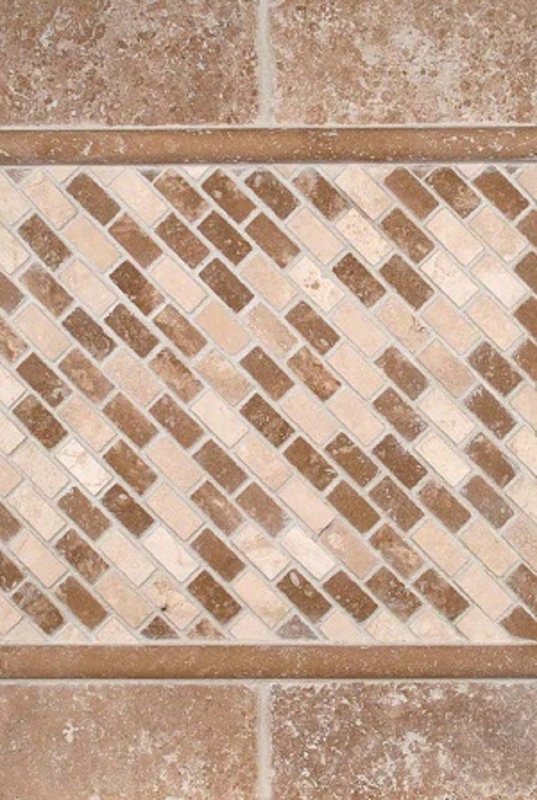 Create the perfect tile backsplash for kitchens or bathrooms in rooms with a traditional style. This backsplash design turns the Mini Brick tiles on a diagonal that is then framed with classic Pencil Moldings and 3x6 Subway Tiles.